Thank you very much to Shona who put this post together. Hasn’t she done a FAB job!!! Thank you to Shona for putting this post together. She’s done a great job! Let us know, via NorthHantsMum@gmail.com, if there are any other venues, decorations or gifts from local businesses that you think should be added. 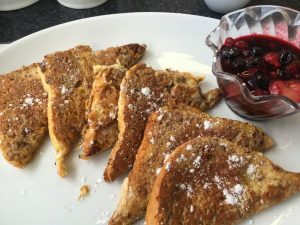 Within Viables Craft Centre, The Parlour Tearoom serves homemade cakes and lunches. They are open from 10am to 5pm Tuesday to Saturdays. They were also voted Hampshire Life Tearoom of the year 2014. As it isn’t very big this would be best for a small baby shower. Right in the top of town, the Tea Bar is a lovely tea room in the day and at night turns into a bar in the evening with music and sometimes live bands. 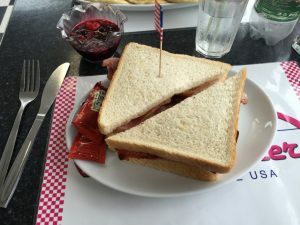 They provide lunches and afternoon teas. Lovely seating and space means tables could be put together for larger groups. Sundaes hasn’t been open that long but is definitely a hit! If ice cream, crepes, waffles or just deserts in general are your thing, this is where to head! There are booths, tables and even sofas so a nice comfortable area. Relax for Birth provides hypnobirthing, antenatal preparation and Doula support across Surrey, Hampshire, Berkshire and West Sussex. Wendy has worked within the birthing field for over 20 years and supports women and couples to have a positive experience that positively impacts their journey into parenthood. The Beauty Lounge Oakley offers vouchers for a relaxing pedicure for the mum to be. Perfect for a bit of me time and some pampering before the big arrival. 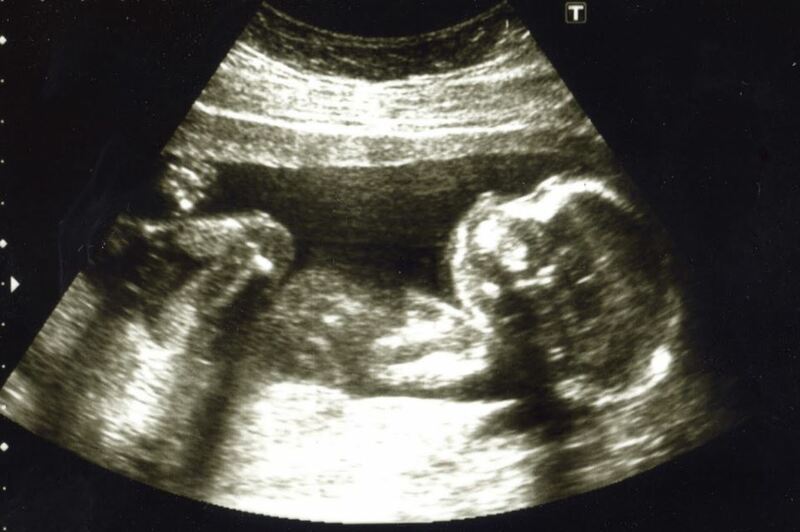 NCT offer a course suitable from 12 weeks pregnant right through pregnancy. It enables you to relax, focus on your baby and think about your wishes for birth. Wendy French Reflexology can offer gift vouchers and/or sessions for the mum to be. Linda Cooks offers treatments such as pregnancy and postnatal massage, reflexology, birth preparation, placenta remedies and mother blessings which all could be a lovely gift for a mum to be. Jill Lewis can provide taster sessions at the baby shower. Massaging using pressure points can help with stress, back pain and hormonal imbalances. 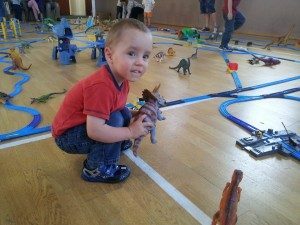 Jolly Babies provides various classes for parents and children. Music with Mummy involves singing, clapping, dancing and waving. There are bubbles and simple instruments for babies to explore. There are plenty of things such as gift vouchers, baby products, coconut oil and natural health remedies available, perfect for mum and babies. There is every type of book available for new babies including cot and buggy books, cloth books as well as well known children’s titles. A rarely covered topic that is never discussed in detail, teething can be a nightmare for parents. Having a read about it before baby arrives could be an excellent idea. Over at Snuggly Sockimals they make gorgeous animals from brand new socks. All Sockimals are CE tested and handmade. Pots2Paint have a wide variety of gifts available and you can purchase a gift voucher. They have done commissioned pieces which include a paint with a footprint for every month of a baby’s first year so definitely worth discussing any ideas you have. Carryoncarrying can provide a consultation to find which baby sling works best for mum. There are also packages for groups. My Tiny Gallery by Emma Vallis creates artwork, prints and cards that are ready to buy as well as commissioning individual pieces. Name paintings and nursery art are her speciality. You can buy gift vouchers or even a gift for the mum to be. Smallprint captures precious moments with unique items of jewellery hand-crafted in silver. From fingerprints to doodles and drawings, there is jewellery for all. Gift vouchers are available. Mum to be could have a gift voucher for a maternity or newborn photoshoot from Your Family Deserve this. Agnes Forrai Photography offers portrait sessions, maternity shoots and newborn shoots so you can keep hold of precious memories. Shampagne Occasions can provide everything you need to decorate your venue for the baby shower. From balloons to decorations, they have everything covered. 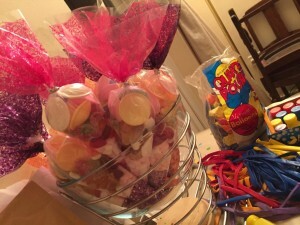 Over at Sweet Treats they make party favours for baby showers as well as sweet cones and a sweet cart for hire. 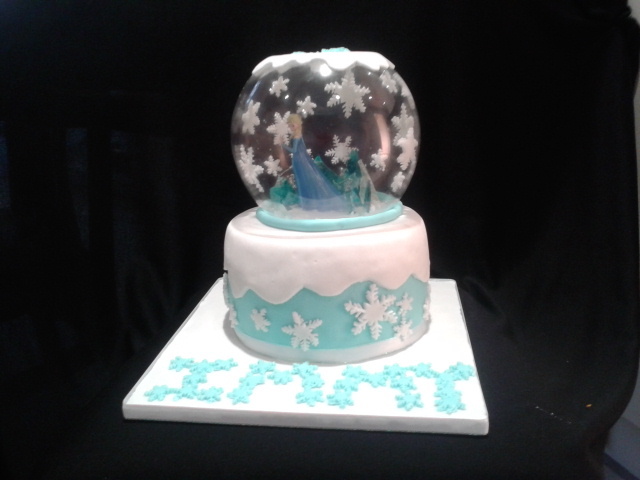 Based in Basingstoke, Innocent cakes provides cakes, cupcakes and cake pops made to order. Owow Chocolates, based in Old Basing can make some personalised chocolates for your baby shower needs. 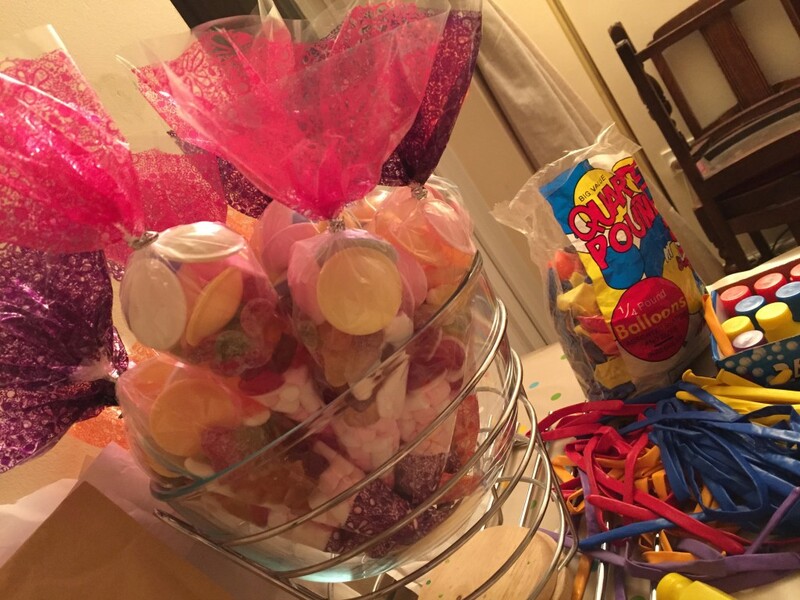 Doveys Occasions can provide lots of different gifts to suit any budget including sweet cones, sweet filled bottles, wish trees, gift baskets and candy carts. I’ve always been rubbish at remembering birthday cards, or rather, I buy the cards in advance but never quite get round to posting them in time. I recently asked the Friends of my “Louise nhm Smith” profile on Facebook for any good “hacks” for how to remember to send birthday cards. Thank you very much to everyone who responded and thank you very much to Yvette who put this post together! The general consensus was that these websites are great as you can set up in advance what date you would like certain cards to be sent and also you can personalise your cards with your own photo’s / text. The only downside is that it can be a bit on the expensive side, but prices do include postage and they sometimes have special offers on. Alternatively, Cerys came up with a great idea of setting up reminders on the websites but buying the card elsewhere when the reminder email comes through! You can also set up reminders on this website (or other similar ones), just remember to put the exact dates in the notes. 3.1 Another great suggestion was to write every birthday on a calendar/diary at the beginning of the year and then at the beginning of every month, bulk buy all the cards you need for that month. Or alternatively, put a reminder in your diary to buy the cards 2 weeks before and then another reminder a week before to actually post them. 3.2 A lovely alternative for keeping birthdays separate from everything else going in your diary is getting a box of cards and planner from Heidi Wadsworth at Phoenix cards. Just go through the planner each week, write them out and stick them in the post. The planner lasts and doesn’t need redoing each year. Putting a reminder on her phone 2 days before to post the card has worked well for Hayley. I also buy postcard packs (e.g. from local artists when I don’t want/cannot afford to buy individual pieces or themed packs from places like TK Maxx or independent bookstores) and packs of blank greeting cards so that I have an abundance of supplies for last minute wishes ‘thank you’, ‘thinking of you’, ‘anniversary’, ‘happy house warming’.. (you get the picture). 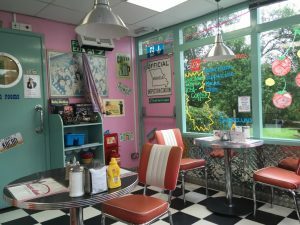 Nelson’s Diner is on the A339, on the road to Newbury. It’s next to the garage, just past Kingsclere village. 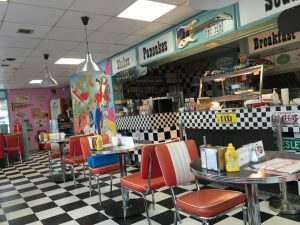 I’ve been driving past Nelson’s Diner for 20 years but we only went in when Miss NHM was born because a friend suggested it for breakfast, as they went regularly. I’d seen it from a distance but never actually got around to visiting! Now we LOVE Nelson’s. They do fantastic American food and YUMMY milkshakes. 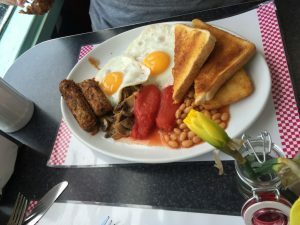 We meet friends there for breakfast when we can justify the cost. However, you do need to leave your diet at the door, as the portion sizes are large. We love the fifties paraphernalia that is throughout the restaurant and the music adds to the vibe. They frequently do music evenings, Elvis, Buddy Holly, but we’ve not been to any yet. Is always excellent. 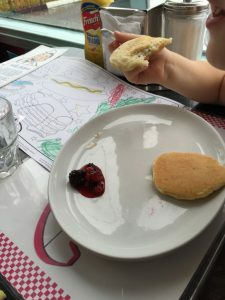 Miss NHM loves the children’s pancakes with maple syrup. She’d eaten them before I got a chance to take a picture! Mr NHM is partial to the extra steak that you can buy with your breakfast!!! 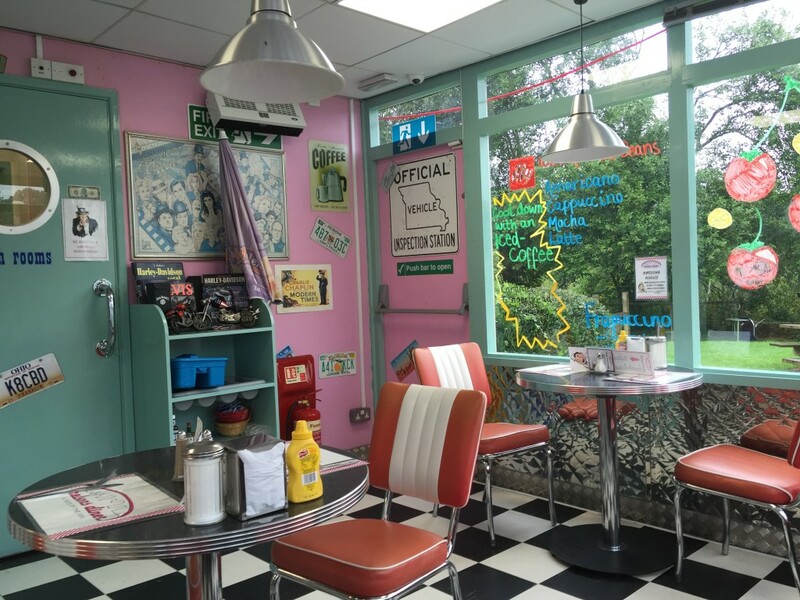 They have over 30 different types of milkshakes. 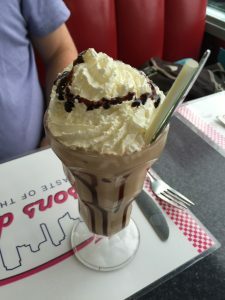 The milkshakes often look like sundaes and they are yummy. It can get very busy on the weekends, especially if a biker group turns up. I highly recommend getting there early on a Sunday morning. They were one of the only restaurants that was open on Easter Sunday 2016. They have colouring activities for little ones. We visited over Easter this year and they had a colouring competition on for little ones, which kept Miss NHM quiet for a while. 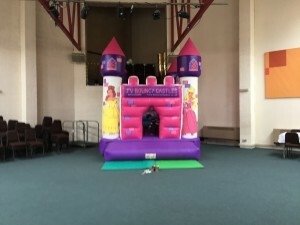 Children’s Parties are also hosted on site. There are toilets on site and they also have the fifties paraphernalia throughout. There are baby changing facilities in the ladies toilet. There are also several high chairs available. Is free and there are about 30 spaces. You can also park behind the restaurant. 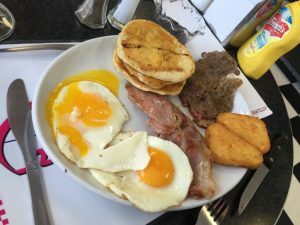 The meals are slightly more expensive than other places, but if you consider the portion sizes and it’s one of the only places you can get “proper” American food in the area, I think it’s worth the extra! We give Nelson’s Diner 5 out of 5 because we love going there for breakfast! We always have our parties in a local church because we have a small house and we get a really good rate on the room. Now that Miss NHM is older, we hire the biggest room available, just so the kids can run around like loons if they want too. We always hire a bouncy castle. I highly recommend JV Bouncy Castle Hire. I also highly recommend the team from Routine Riots. 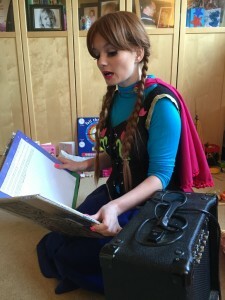 I’ve worked with Kim and the girls at several NHM events and last year we had a character visit from Anna from Frozen visit our house on Miss NHM’s actual birthday. It was absolutely amazing and “Anna” did an Awesome job. She stayed in character the whole time and had such an amazing voice. The children were mesmerised when she was telling the story. I had tears in my eyes it was so lovely! Routine Riots do all sorts of party packages so definitely worth checking out. I also recommend Caroline at Neon Fairy Face Painting. I’ve worked with her before and she’s lovely and does brilliant face painting and balloon “things” (can’t remember the technical word, sorry Caroline!). I also recommend Polly from Bopping Babies who runs party packages. Polly is a lovely, lovely lady and her Disco’s are absolutely brilliant. We also always set up a “colouring table”. I saw at another party that they set up a “craft table” but apparently it took a couple of hours to clear up afterwards, so I don’t recommend this for children under the age of 10! As part of the large room hire we have access to another smaller room and we serve the food in here. When serving food to children, it’s always best to try to limit the damage, so we don’t serve it near a carpet because that takes AGES to clean. Much better to keep it in a room where you can mop or sweep up any mess. 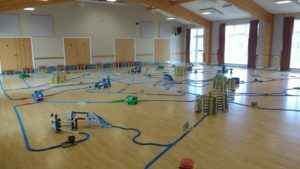 Plus having it in a separate room means we can set up and clear up quickly whilst the main party is still going on in another room. It also took me a few years to realise that it’s best to put chairs and tables out for the adults to sit at! For the first two years we forgot this and everyone ended up sitting on the floor. Oops! So now we put out a few tables out with chairs facing the bouncy castle so parents don’t have to sit with their backs to their children playing, and we put some “treats” out for the adults. I believe that if the parents are happy (offer of tea, coffee and some treats and somewhere to sit!) then the children are happy. Happy parents are the key to a successful birthday party! Honest! :-D.
It’s really difficult to know what the protocol is for adults having food if you have a party over lunchtime. This can really rack up expense. 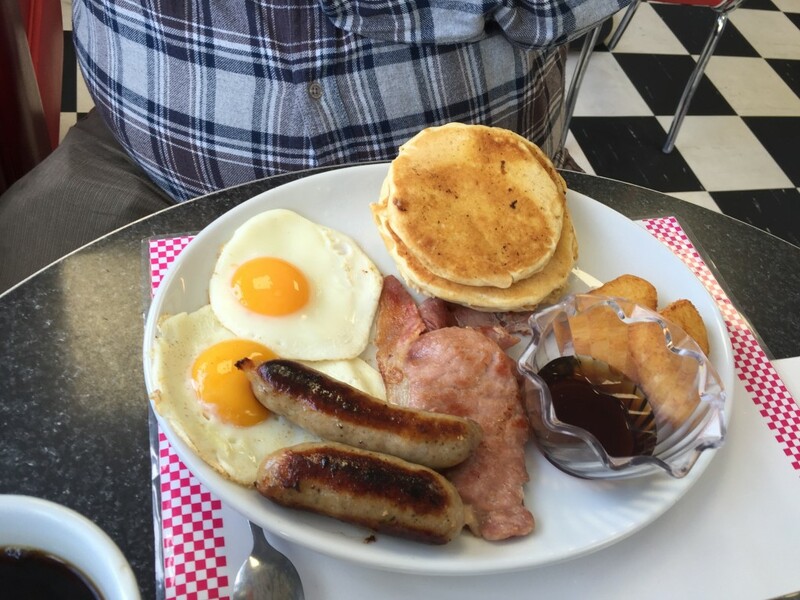 We used to cater for children AND adults but it meant that loads of food was left over and it cost a fortune. So these days we cater for the children with a bit extra and the adults can finish off whatever is left. Always take a large knife with you to cut the cake. We forgot this last year, oops! Make sure there are jugs available for squash and/or water. Double check if any children are allergic to any foods. I forgot to include this on the invite this year, so note to self for next year! Last year I delegated party bags to my Mum. Massive mistake. She bought the Lego pocket toys and at nearly £4 a pop, the bill for those alone was £70!!?!!?!! To her credit, she did pay for half, but they still cost me £35! We always stick bubbles and balloons in the party bag. When Miss NHM was one we put organics bars in the party bags. I’ve always tried to stay healthy but this year I decided that if you can’t beat them, you might as well join them. So I made up party cones of sweets for each bag. They were really simple. I ordered the bags from Amazon, only cost £2 for 50. Then we bought some bulk sweets from Costco and I bought a huge bag of mini marshmallows from Amazon, the small marshmallows for the bottom of the cone. I put 30 together and it took me less than an hour. So the party bags probably,cost about £25 all in. Less than £1 a child, which is very reasonable. I also make a concerted effort NOT to include anything that could be considered landfill. So no nasty plastic toys or stuff that’s going to break in 2 minutes. I try to keep the party bags simple. This year they will have some balloons, bubbles, sweet cones and birthday cake. I’ve also gone one step further and delegated the food and birthday cake this year. Last year we bought a “Frozen” cake from Sainsburys which went down well. This year one of my friends is making Miss NHM a cake. Hayley from Impish Delights did a fantastic job on the food and cake and it took an immense amount of pressure off me not having to worry about either! Last year I totally cheated and created an event on Facebook and invited everyone to that, rather than do paper invites. This year we have invited all of Miss NHM’s class mates to her party so we had to do paper invites. I would love to be the kind of Mum who spends hours lovingly crafting invites, but I know my limitations and I’m not that kind of Mum. So Card Factory did me proud :-D.
Make sure to include your details for RSVP and give a date when people need to let you know if they are coming because I’ve noticed that these days people are very, very non committal. I find this extremely rude, but apparently it’s a generational thing ;-). I hadn’t anticipated that we would get messages asking if the siblings of Miss NHM’s classmates would be able to come too,as babysitters couldn’t be secured. We had about five extra children coming along, which I hadn’t originally accounted for. This is fine for us, but something to keep in mind if you have a tight budget. Expect at least 20% of the people who accepted your invite not to turn up. Several will pull out on the morning and blame it on child sickness, dog sickness, etc. etc. It is what it is, so don’t over cater. Double check with your venue to see whether you can use their plates, cups, cutlery, etc. If you hire a bouncy castle, ensure that there is public liability and insurance cover, in case anything goes wrong. Don’t judge me too harshly, but I have a spreadsheet for party planning that I update every year, with lessons learned. Yes, I know several of you will mock me for this, but if you want a copy of the spreadsheet for reference, just drop me an email to NorthHantsMum@gmail.com. What else would you suggest about organising a birthday party? 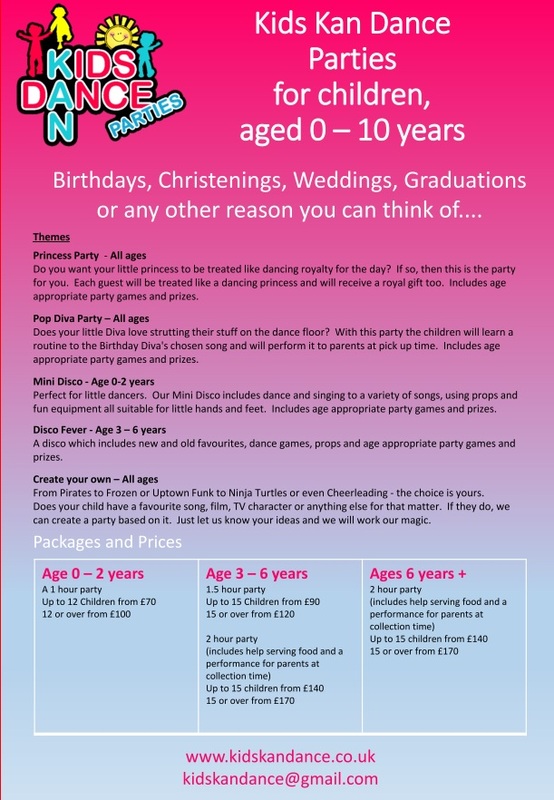 PS: Hilary, I absolutely PROMISE that I won’t be doing a “big” birthday party for Miss NHM again next year :-D.
Kids Kan Dance offer Parties for Kids aged 0-10 years for any occasion – Birthday, Wedding, Christening, any occasion where you would like to entertain children. 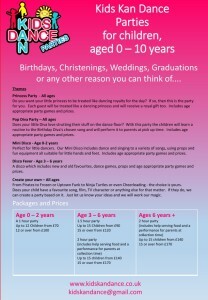 We offer a variety of themes and packages to suit your children’s wildest imaginations. Take the stress out of your next event and let Kids Kan Dance entertain the children. 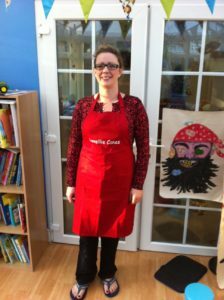 Thank you to Louise at NorthHantsMums for the opportunity to tell you about Lovellie Cakes. 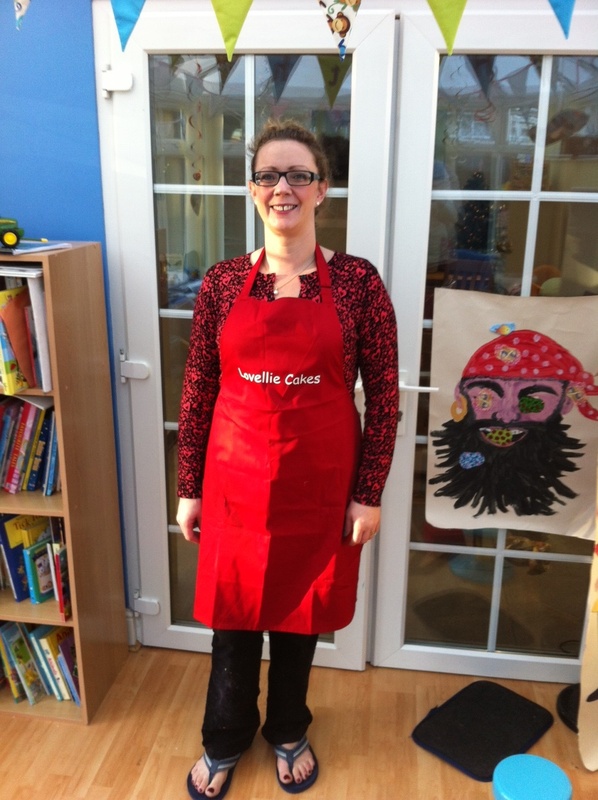 My name is Jane Lovell, I’ve always loved making and eating cakes! 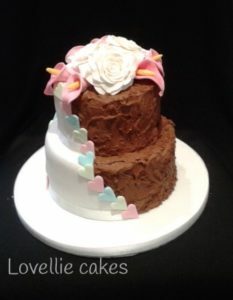 I have 2 children who take up a lot of my time but I am pleased to have found an activity I enjoy and can do at home around them, so in April 2014 I launched Lovellie cakes. I make individually designed and great tasting cakes and cupcakes. 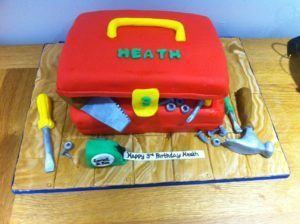 My mum was a great cook and as children we always had homemade birthday cakes, however she always regretted not learning learnt to decorate cakes properly. 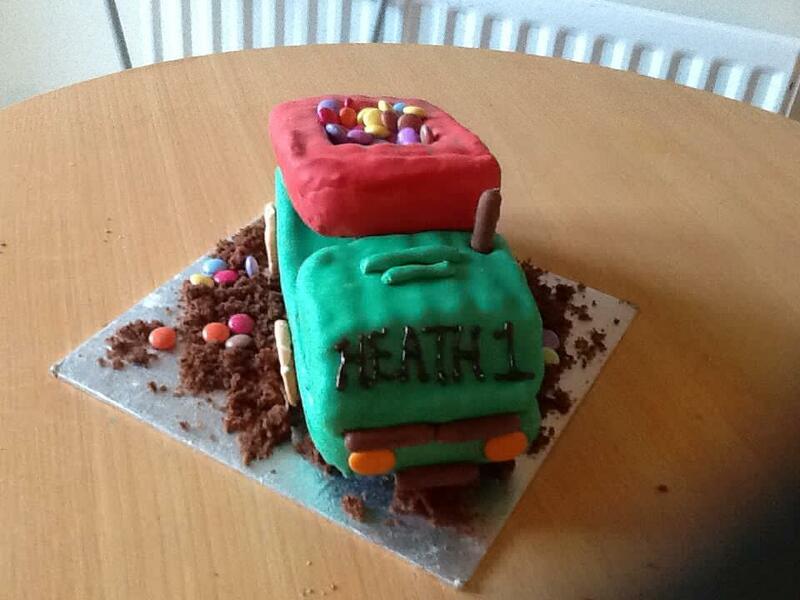 In 2013 I took her on 2 cake decorating courses. We had lots of fun and at the age of 78 she loved finally having the courage to attend classes. Sadly my mum died in Dec 2013. I found it a great distraction to continue to learn and make cakes for my family and friends and realised not only did I love it I was actually good at it! In April I decided to become self-employed, register my kitchen and get insurance and Lovellie Cakes became real! 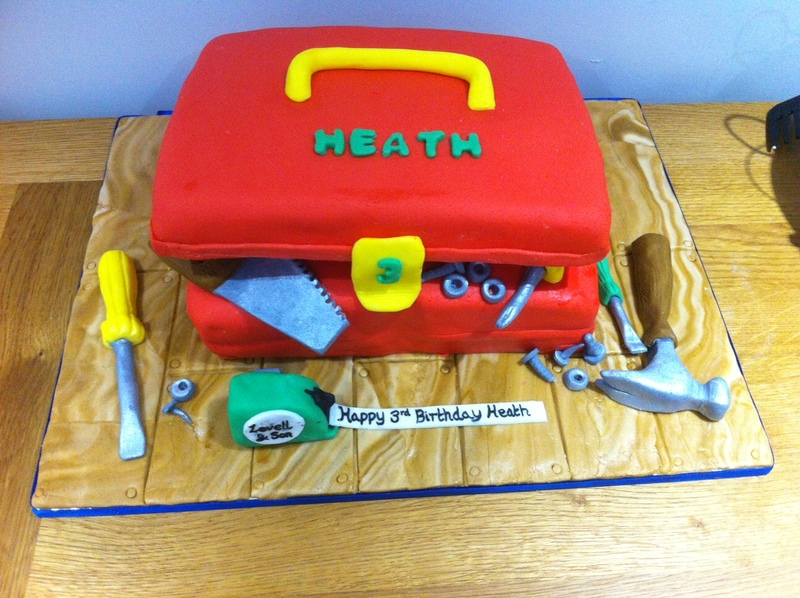 Having a focus for me has really helped and in 2014 I had the opportunity to make some great cakes, for some lovely people, for all occasions, birthdays, baby showers, christening and weddings. All were a new challenge whether it was taking a wedding cake 600 miles, battling with fondant on the hottest day of the year, finding a compromise between a bride that loves icing and a groom that doesn’t, carving a cake into a trainer or having to consult my brother the scientist on how on to make ‘frozen ice’ from mints! I am very realistic as to what I can make for customers but I do love a challenge. I am pleased to be able to offer gluten and dairy free cakes. 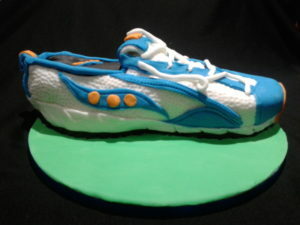 I like to make cakes or cupcakes that are very personal to the customer and taste great. I enjoy the planning stage and then seeing the finished product. Please have a look at my facebook page Lovellie cakes and give me a like. My name is Caroline and my business name is Neon Fairy Face Painting. I am a local working mummy to two young sons and have been a professional face and body artist for a number of years now. Neon Fairy Face Painting provides face painting services for all ages, boys and girls from superheros and traditional favourites to baby bump and bespoke individual painting covering all themes. 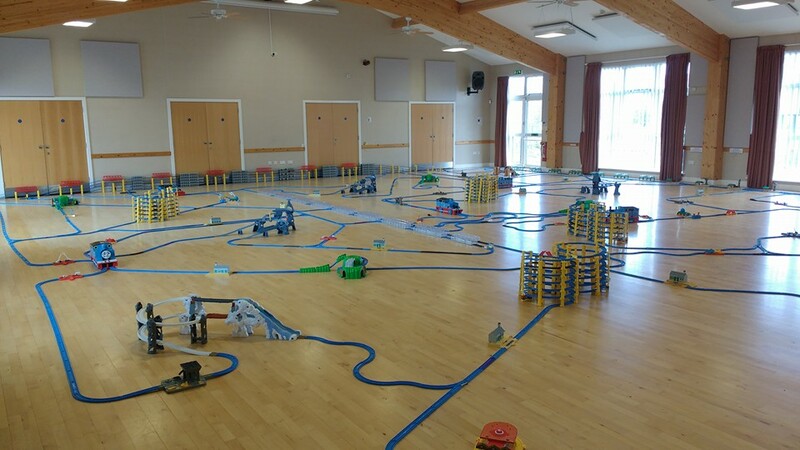 My business means I have the pleasure of meeting lots of wonderful families, children and local organisations in Basingstoke and the North Hants area in general. 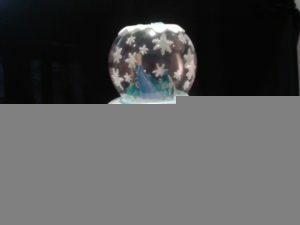 I am so thrilled to be writing a guest post for NorthHantsMum and would like to share with you some of my more ‘enchanting’ work. Quite simply I adore all things fairy, princess and magical! I regularly attend fairy events where I am able to paint fairies of ALL ages, big and small. Garden tea parties ,’under the sea’ events , childrens birthdays , festivals and even magical woodland clearings are all in my remit and my experience means I am able to paint , inside or outdoors in more challenging locations in the North Hants area and beyond if required. I am able to paint a myriad of original designs to delight, sparkle and to theme. From princess parties to pretty mermaids, Disney princess inspired, flower fairy masks and the massively popular Frozen parties – every little girls dream is to sparkle like Queen Elsa! Delicate feathers and diamontes abound and everything is finished with glittery fairy dust (of course! ), glitter glamour, bracelet and wrist painting accompany fantasy faces to match. Love, Light and Fairy Dust!